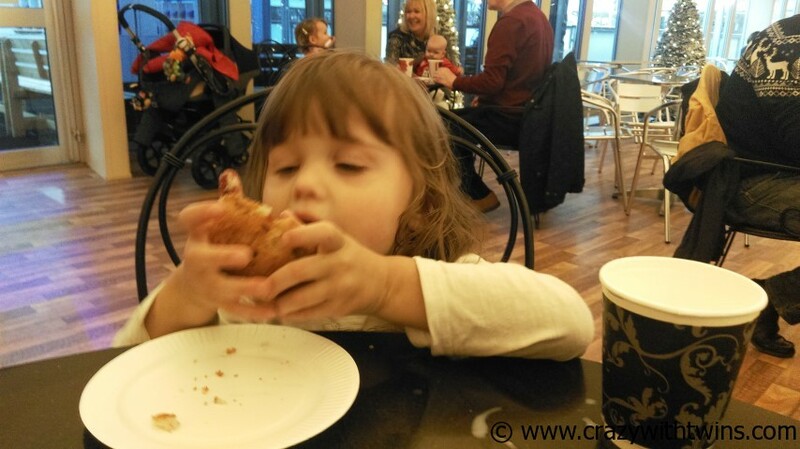 We recently went to Webbs of Wychbold to celebrate the start of the festive season. Webbs is probably the biggest garden centre, I have ever been to. 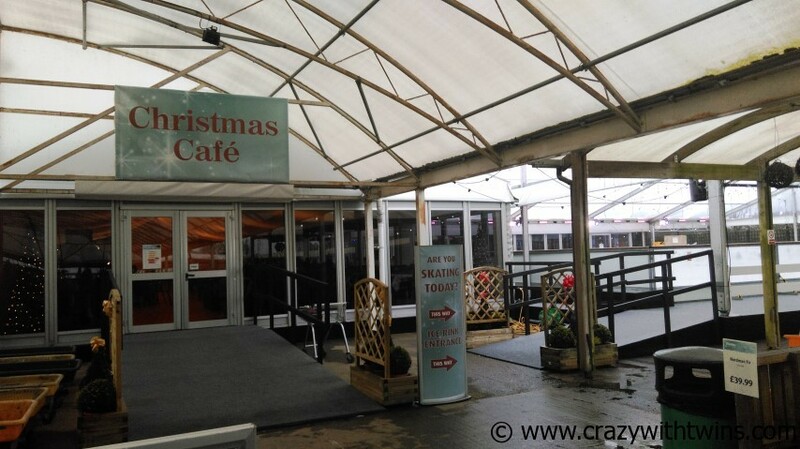 In fact, it’s not just a garden centre, they sell everything from toys, greeting cards and clothes, to Christmas decorations and they even have a food hall. It’s like a mini Harrods, without the extortionate price tag. 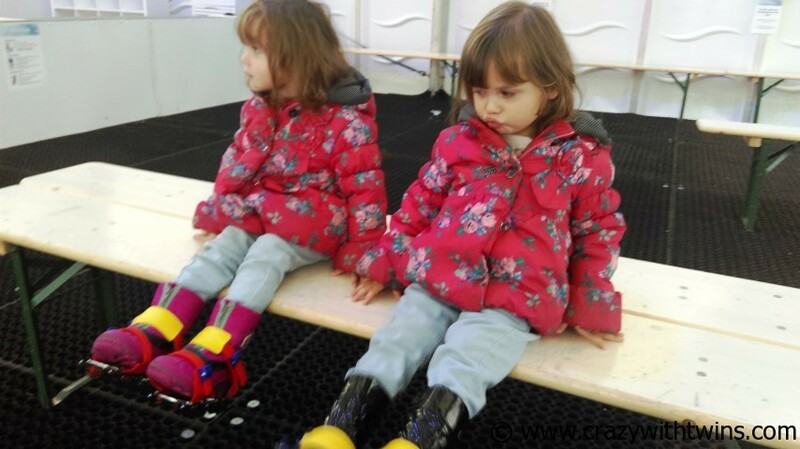 We started the day off with a 45 minute ice skating session … yes… I took the twins, ice skating, on my own! 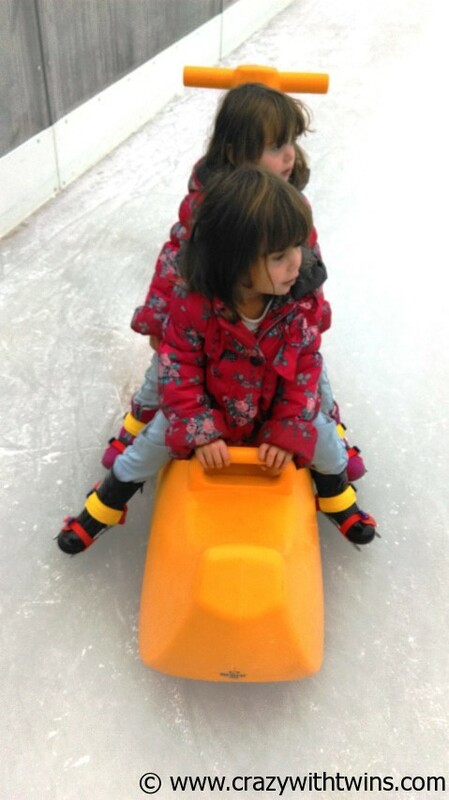 Initially I was a bit worried, but it turns out you can hire two seater ride-ons, for infants to sit on, as well as double bladed skates which go over normal children’s shoes. 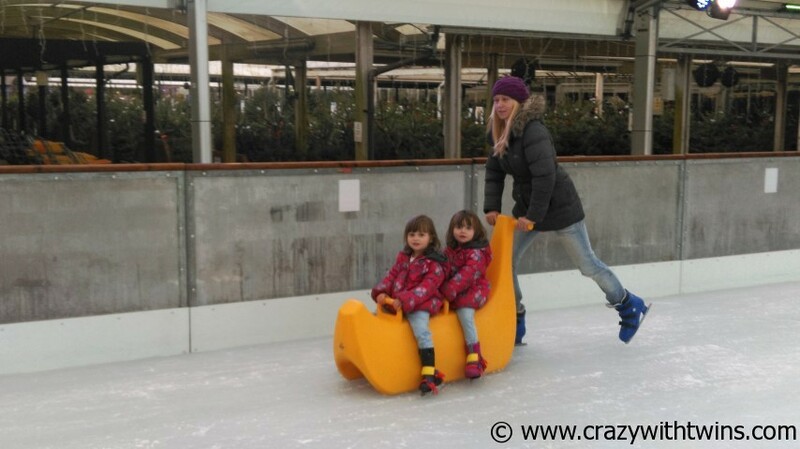 There are also penguin aids for children who want to skate but aren’t quite confident enough to skate unaided. 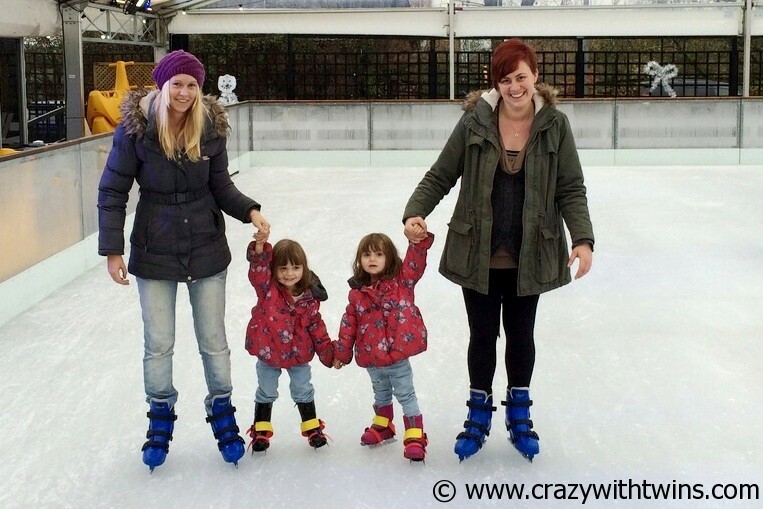 Webbs have a large purpose built ice rink, which is open until January 4th 2015. Better still, it has a roof, so is suitable for skating in all weather. We had a fabulous time skating and we bumped into Rebecca who blogs at Clearly Bex. Her children and mine were all high-fiving each other, each time they met on the ice and we ended up spending most of the morning together. 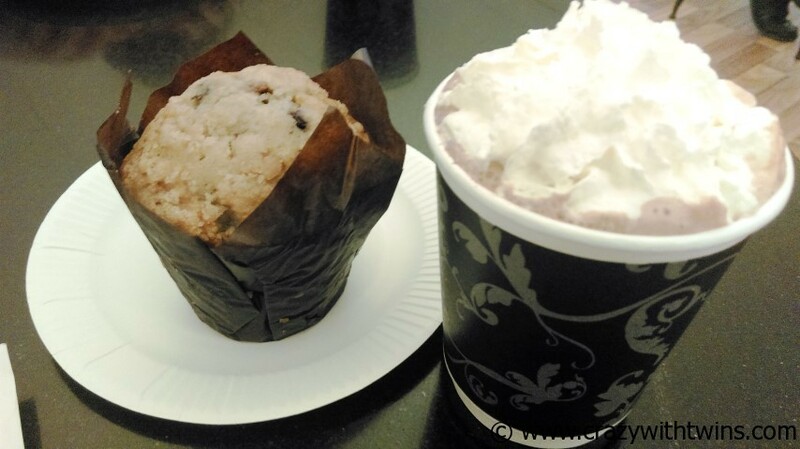 Once it was time to get off the ice, we headed into the cafe next to the ice rink, for hot chocolate (me), milk (the twins) and muffins. 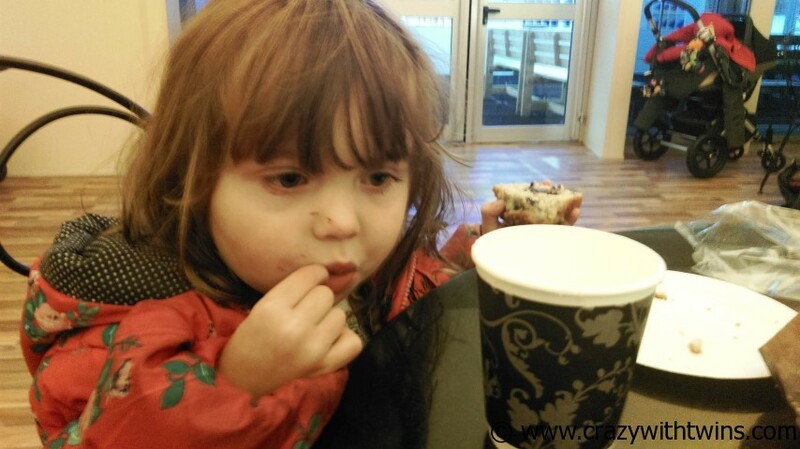 Us grown ups got a chance to chat, whilst the children ran riot round the cafe! 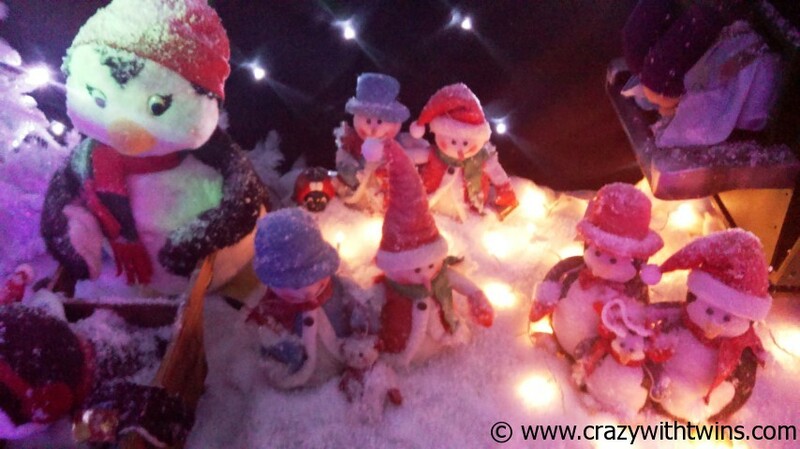 A Christmas tree lined walk, took us to Santa’s grotto where we saw lots of lit up festive, musical, moving models, which were a lovely touch in the lead up to meeting the big man himself. 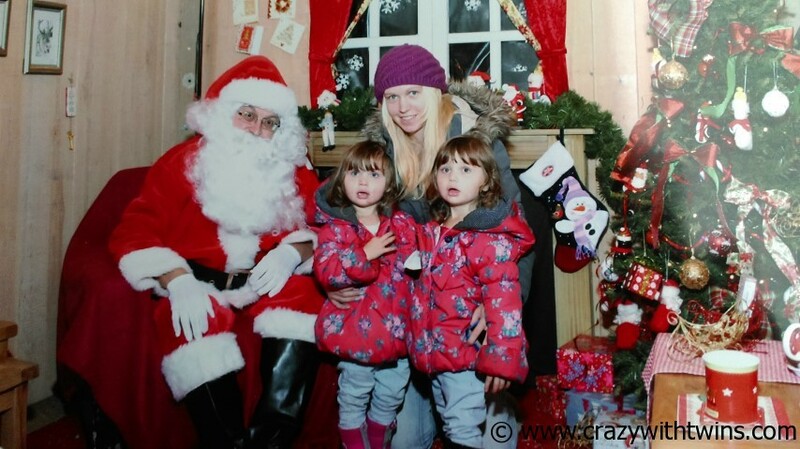 Unfortunately, my twins weren’t confident enough to go up to Santa, but somehow we still managed to get a photo (these are available to buy). 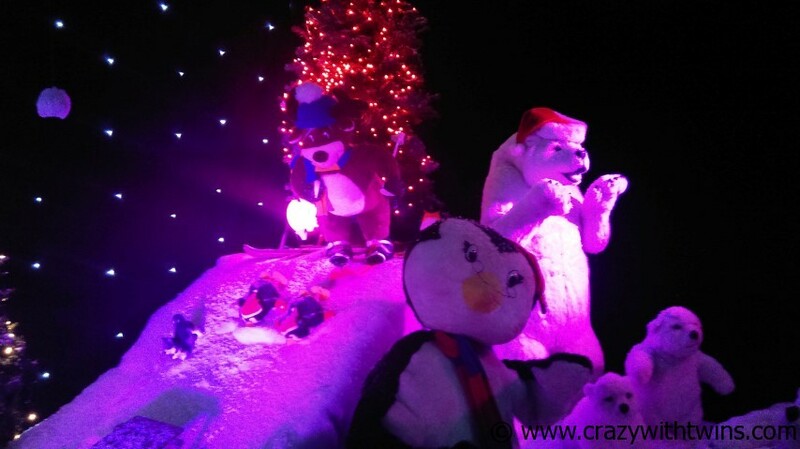 I have to say, I was really wowwed by just how good the grotto was. 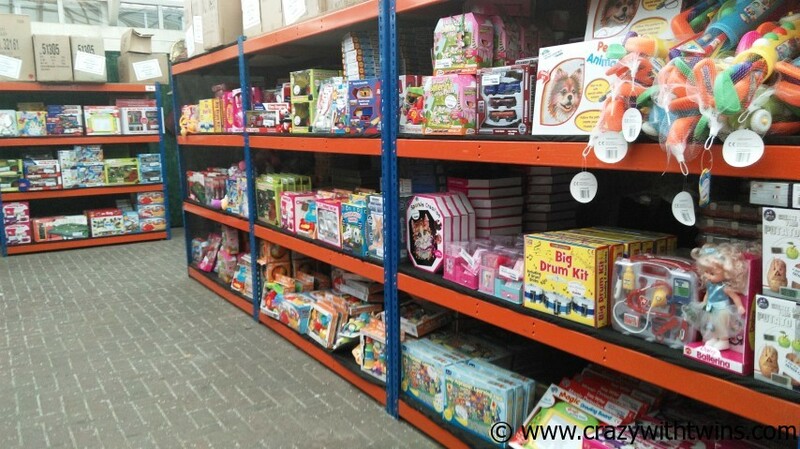 After seeing Santa, the children walk straight into a toy warehouse where they can choose ANY toy they want, as their gift from Santa. Not only is it brilliant that the children get to choose what they want (rather than just being given the standard age appropriate book), but there were SO MANY toys to choose from. 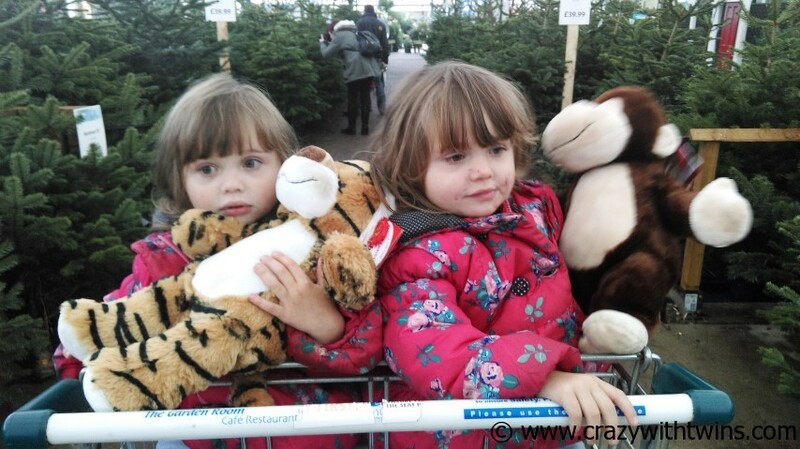 The children aren’t at all rushed into choosing what they want and we spent a good ten minutes in there before Tiny chose a cuddly monkey and Fluffy chose a cuddly tiger. 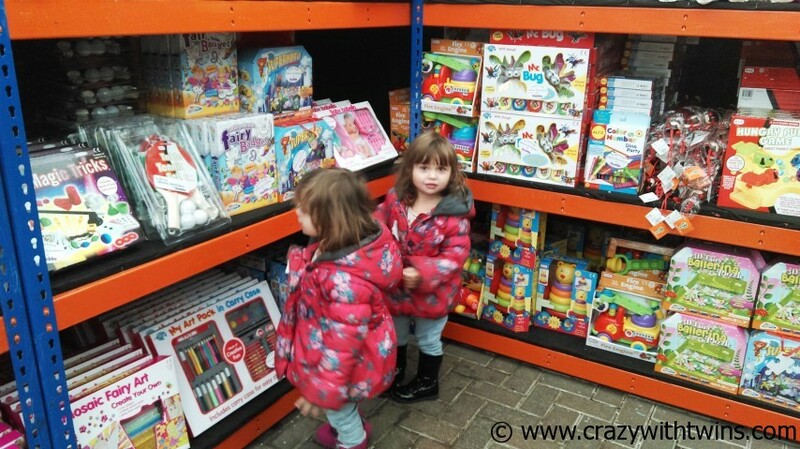 After the toy selection and collecting our photo, we went for a wander around Webbs. Wow. What a shop. I could have happily spent a day in there. 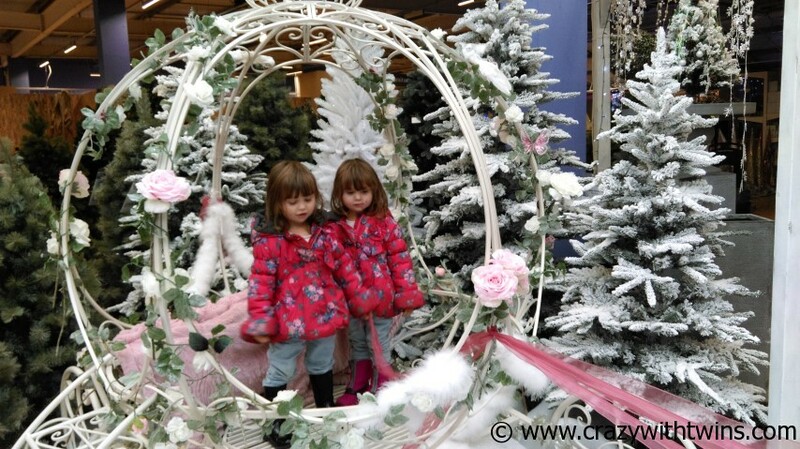 Unfortunately the twins were desperate for their nap, so we had a quick look at some of the Chrismas displays, the Christmas trees and the infinite selection of gifts for sale before heading home. 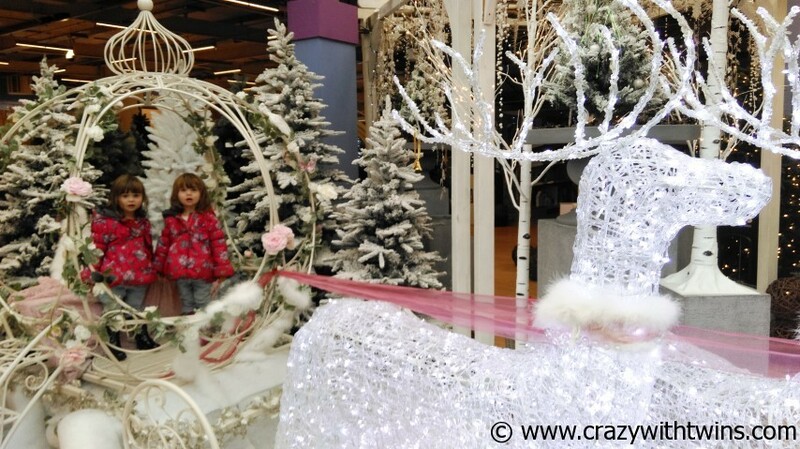 One of the Christmas displays is this beautiful sleigh and reindeer, where children have the opportunity to sit in the sleigh. 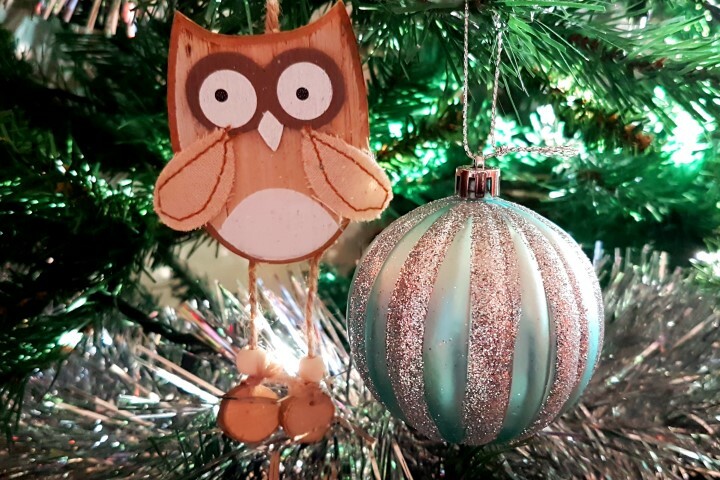 We had a really fabulous day at Webbs of Wychbold and we are going to go back again and take Bunny, because I know she will really love it there. 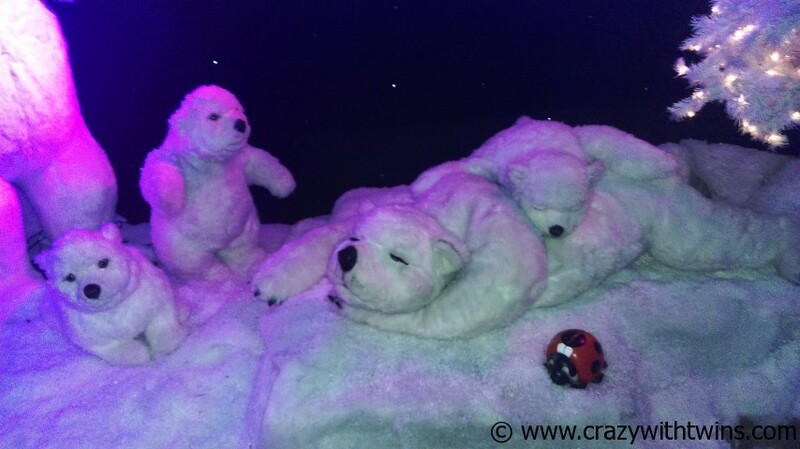 This entry was posted in Christmas, Days out, Family, Holidays, Reviews, Shopping, toddlers, Toys, Twins, Uncategorized and tagged Christmas, Family Fun, Festive, grotto, ice skating, Santa, Webbs of Wychbold. Bookmark the permalink.